The flood of editorials trying to divide our community regarding heavy industrial development in Oneonta are discouraging. They may help sell newspapers, but they lack integrity. This is not a choice between jobs or no jobs. It is not even a choice between development or no development. It is purely a choice about what kind of jobs and what kind of development is suitable. To answer this question, state law (known as SEQRA) requires the owner/developer, Otsego Now, to inform the City of Oneonta and the public of its plans; the city as lead agency is required to analyze its environmental impacts. The city hired Delaware Engineering to conduct the required environmental review. Its review resulted in a flawed draft Generic Environmental Impact Statement (“DGEIS”). It is a “ghost.” It is 113 pages of headings and charts, but entirely lacking in substance. The city paid as much as $200,000 for this empty vessel. It did not get their its worth. After Delaware Engineering was hired and scoping required by SEQRA was completed, Otsego Now disclosed for the first time in a grant application submitted July 26, 2018, that it planned to construct a gas decompressor station in the Town of Oneonta, fueled by high volumes of compressed natural gas transported from Pennsylvania by tractor-trailer, to deliver gas to the railyards. Otsego Now’s plans also called for expansion of the DeRuyter pipeline and construction of miles of new pipelines to bring gas to the site. Mayor Herzig confirmed by letter, dated Oct. 15, 2018, that he was “completely unaware” of these plans when environmental review began. As a result, the plans to construct gas infrastructure to supply gas to the railyards were not disclosed to the public as part of the SEQRA process. The DGEIS completely ignored these new plans, although by the time the Common Council voted in January 2019 to accept the DGEIS, both Mayor Herzig and Delaware Engineering were fully aware of these facts. The failure to discuss the plans for construction of gas infrastructure in the DGEIS is a serious error. SEQRA requires that all related projects be considered as part of a coordinated environmental review. This clearly did not occur. Due to this omission, the DGEIS must now be supplemented and the public given full notice of all plans for construction of infrastructure to supply energy to the site. A revised GEIS must also consider alternatives to heavy industrial development, such as an Eco-Park, constructed to the highest energy conservation standards and powered by renewable solar and/or geothermal energy. It is significant that Mayor Herzig, the new Downtown Revitalization Initiative, and the new City of Oneonta Comprehensive Plan, all call for green and renewable energy to be used where possible. Why not at the railyards? This question should be answered, before this option is rejected. There are additional questions which must be answered. It is common knowledge that the railyards is contaminated from prior industrial use. When soil is disturbed during excavation and construction it can release harmful particles, causing health risks for people breathing the air. How will this brownfield contamination be remediated and at what cost? Also, the DGEIS calls for building directly on delineated wetlands that drain into the Susquehanna River and serve a crucial role in retaining flood waters. If this site is paved over, how will wetland mitigation and stormwater control be handled and paid for? Further, the DGEIS calls for extensive road work in the city and the town. What costs and impacts will this have on residents? Finally, the DGEIS must disclose the true costs of the proposed development to ratepayers and taxpayers. The gas supply cost is estimated as $17.5 million for the decompressor alone, and $50-100 million for expansion of the DeRuyter pipeline. Additional millions will be spent for miles of pipelines to bring the gas to the Railyards. 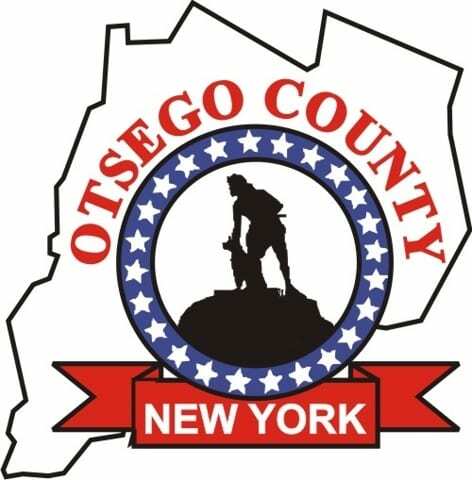 Otsego Now is also considering an electric power plant at the site. What will the total costs be for these developments? 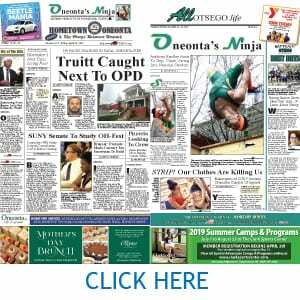 Just this month, Oneonta proudly issued a Downtown Revitalization Initiative and a proposed new Comprehensive Plan, celebrating its environmental assets and boasting of its two universities and advanced medical facilities. For its part, the county has appointed an Energy Task Force, with representation from the city, to investigate energy needs and supply in the region. Shouldn’t Oneonta await the results of this work before shackling Oneonta to a future out of sync with its own planning documents, burdening the City for decades to come with infrastructure costs it cannot afford? Hundreds of thousands of dollars are spent on planning at the City and County level. The plans produced must not be merely shelved and then ignored.